WESTVILLE – A number of years ago, Terry and Pam Lamb began sharing a mustard recipe with friends and family. Now, they’ve created a business out of it. Partnering with Pam’s mother, Vienna Willard, the Lambs converted their shop into a commercial kitchen. After approval from the Oklahoma State Department of Health, Tajour Specialty Products was ready for production. The Lambs chose to incorporate a Hand Up Program, in which they donate 2 percent of every sale to go into an account to help people in their community build local businesses and fight food insecurity. Lamb said the goal is to create flavorful, healthy products without added sugar, salt or fat. 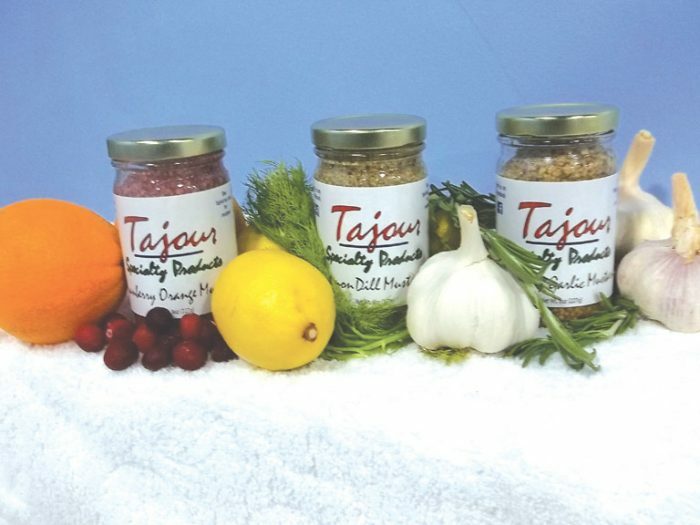 Tajour Specialty Products was established in November 2017 and started sales in December 2018. The owner is a member of the Cherokee Nation. Tajour Specialty Products recently joined the Made in Oklahoma Program. To learn more about the business, visit www.tajoursp.com, www.madeinoklahoma.net/products/tajour-specialty-products-llc/ or find them on Facebook.